Hydraulic actuation has been the standard for motion control in injection molding applications for generations, and yet every day more plastics manufacturers are turning to electric actuation for the greater speed, precision, energy efficiency, and other benefits offered by this innovative solution. Using advanced roller screw technology, Diakont electric actuators supply the high force required for motion control in injection molding processes, including core pull, hot runner direct nozzle and multi valve control, ejection, ram, and clamping, while entirely eliminating many of the problems associated with hydraulics. With no hydraulic fluid needed, electric actuation puts an end to internal leakage and frictional losses, as well as reducing the need for cooling requirements, resulting in significant increases to the overall efficiency of your toggle injection and clamping machinery. The most immediate and drastic difference appreciated by customers who make the switch to electric actuation is the increased energy efficiency, which prompts enormous cost savings. 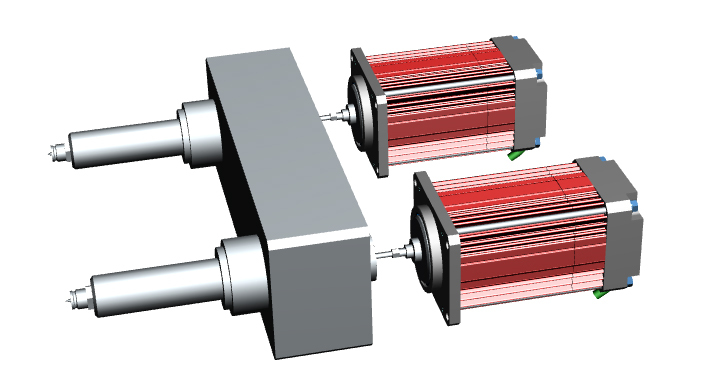 Unlike hydraulic actuators, which continue to consume considerable energy even in their idle state, electric actuators consume only small amounts of energy while not actively engaged. Consequently, Diakont customers who convert from hydraulic to electric actuation report energy savings as high as 20%. In addition to impacting the bottom line, such a sizeable reduction in energy usage allows for a significantly improved environmental footprint.